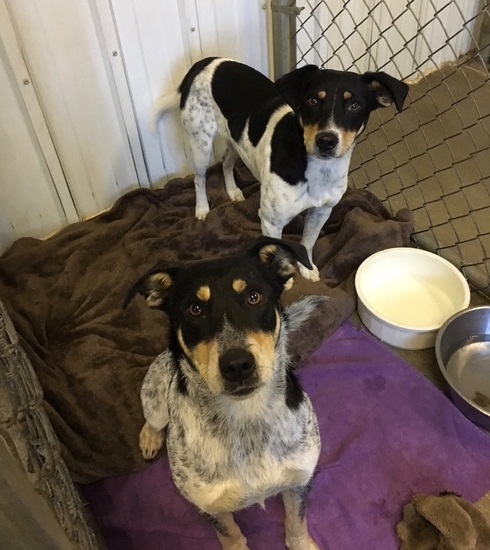 The Winterset Veterinary Center works with the city of Winterset to help lost pets find their owners. If no owners are found, we put the pet(s) up for adoption and give them a new start in life. 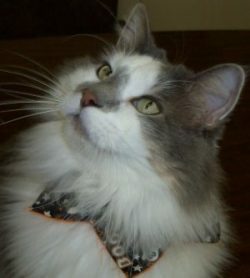 Nothing makes us happier than finding a good match for each and everyone of the unclaimed pets. At any given time we may have purebred and/or mixed breed dogs of all sizes and ages looking for good homes. 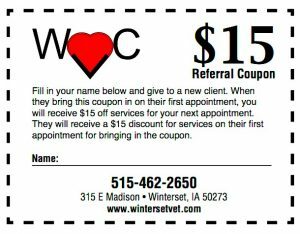 To encourage adoptions, the Winterset Veterinary Center gives 25% discounts on all required services and products needed to begin a lifetime of health and happiness with your new pet.